Released all the way back in 1969, Easy Rider went on to become the classic biker movie everybody knows, being nominated for two oscars in the process. 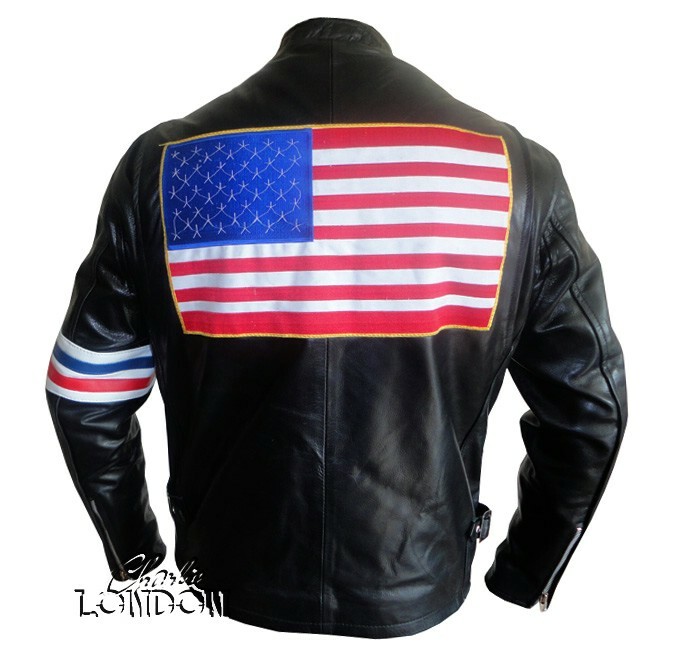 The films follows Wyatt and Billy (played by Peter Fonda and Dennis Hopper), two counterculture bikers as they bike their way between Los Angeles and New Orleans in search of American freedom. 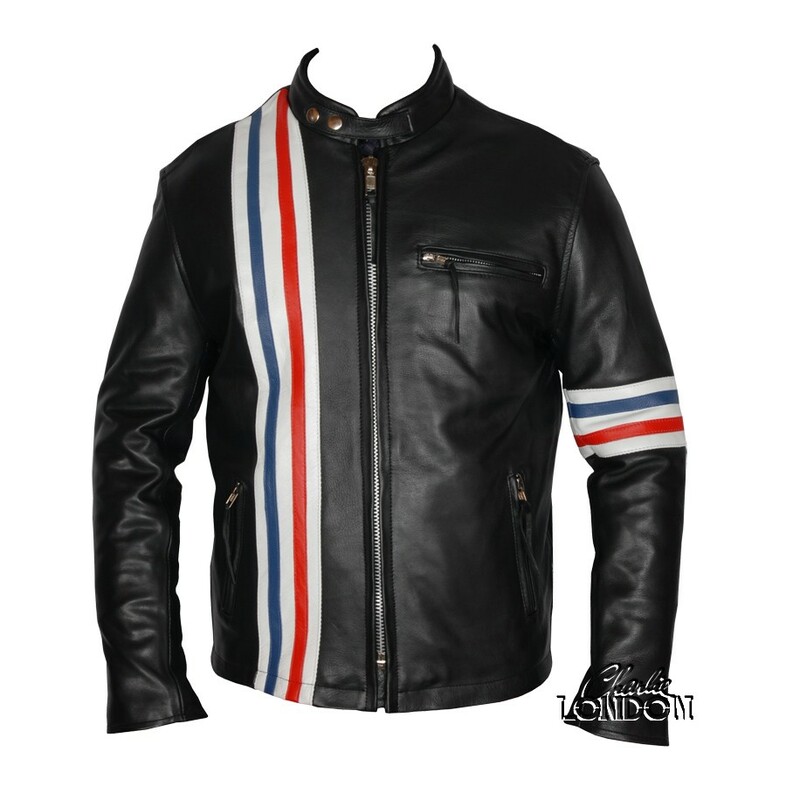 The Easy Rider jacket is instantly recognisable to fans of the film, its signature red and white stripes down the right chest synonymous with the movie and its tale of freedom and clearly shows unbridled and deserved pride in one’s country.